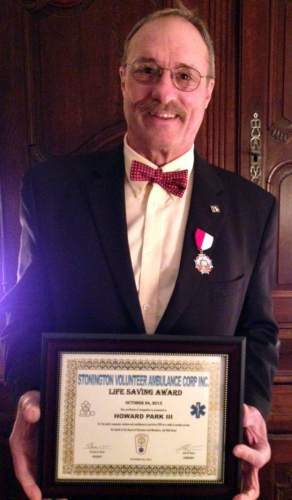 Howard Park awarded for rescuing and resuscitating a 3-year-old boy – Stonington Volunteer Ambulance Corps, Inc.
STONINGTON — The Stonington Volunteer Ambulance Corps has honored borough resident Howard Park for rescuing and resuscitating a 3-year-old boy who fell into the pond by the Velvet Mill last fall. In a small ceremony earlier this month, Park was given a lifesaving award and medal for his act of heroism. The incident took place just outside the Velvet Mill on Bayview Avenue, where Park has a painting studio. 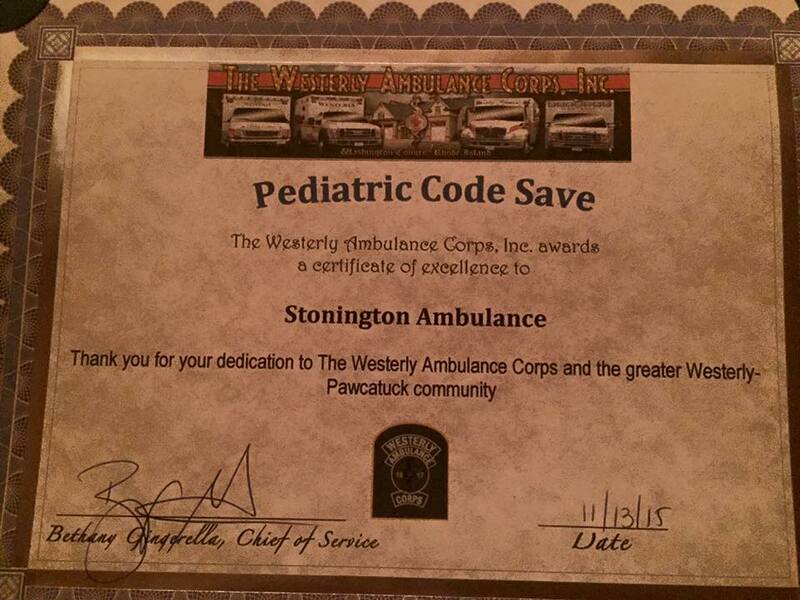 After the boy fell in the water and Park heard what was going on, he rushed out to administer CPR. Once emergency personnel were at the scene, they took over and the boy started breathing again. In the months after the incident, Park said he was very emotional about the experience, and it took awhile for him to recover. The award offered him closure, he said. 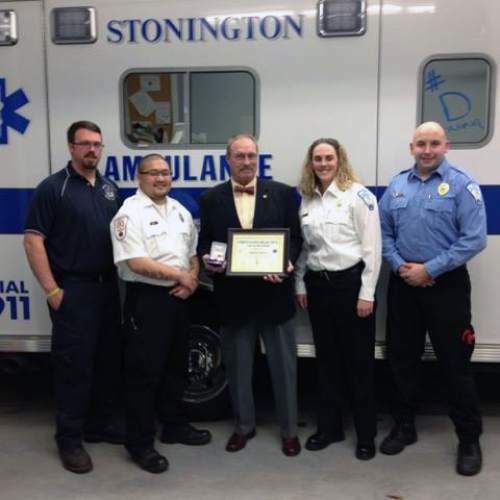 Patrick Cassidy, one of the first responders to the scene from Stonington Ambulance, also received an award for his service in saving the boy’s life.